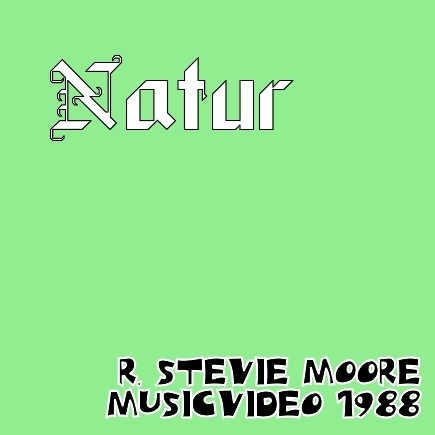 From 1988 to 1991, R. Stevie Moore, the prolific musician, practically abandoned musical recording and began to explore the world of video. Countless hours of creativity were captured on a different kind of tape. Anything went from skits, vignettes, poignant lip-synchs to dozens of fave RSM songs, bizarre and fascinating experimentations, on-location travelogues; a visual diary to compliment the musical one. Frequent collaborators were Jim Price, Frank Balesteri and Krystyna Olsiewicz. And of course, footage from the Nashville vaults, as well as edits from RSM friends far and wide. Also essential to the "programming" was the generous inclusion of many of the man's rare live performances over the years, both in clubs and on real television shows. They were done for the sheer joy of it and without any ambitious hopes, at the time, of landing a network TV timeslot. 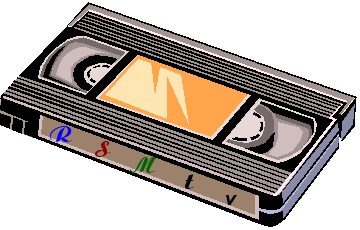 Over the years, RSM's fans have discovered another Stevie through the videotape compilations. Many would offer glowing praise. The tape library has continued to grow to this day (mainly with numerous live gigs). We'd like to present just some of the thousands of images from early RSMtv for cyberspace sake. Home shoot 1982, b&w, by Peter Stellato -- songs include "i wish i could sing" "cool daddio" "health/break my neck" "world's fair" "teen routines" "children forever" // 2 Uncle Floyd Shows 1980 // Live at Maxwell's Nov 1979, b&w, shot by Jon Child // Scott & Gary Show (manhattan cable tv) Apr 1984 // Ethos Of America, live (Super 8mm) Nashville Sept 1974 // other extras. ©SEPT '88 APPROX. TIME 118 MIN. Veriapproximate running time 127 min.